Wow, we’re in the last week of NaNo already! Where did November go? Yesterday, I wrote 1,001 words, which took me *over* my 30,000-word target for the month. Yay! The official NaNoWriMo target is 50K. My book is far from finished, so I’m going to spend the next five days getting as close to that goal as I can. Today’s playlist song of the day is ‘Green Onions’ by Booker T. & the M.G.s. Way back before my now husband and I started dating, I borrowed this Booker T album from him repeatedly, as well as the Stone Roses’s first album and Single Gun Theory’s ‘Like Stars in My Hands’. I couldn’t get enough of those albums, and listening to them now brings back great memories. If you’re on Facebook, my generous friend and romance author Anna Campbell is giving away two Kindle downloads of my debut YA book, THIS IS YOUR AFTERLIFE, today! Head to Anna’s author page for a chance to win. No geographical restrictions. Contest closes 12pm Sunday US EST/4am Monday Australian Summer Time/5pm Sunday UK time. Download ‘Green Onions’ by Booker T. & the M.G.s from iTunes. Happy Friday the 13th! Are you feeling lucky? Over at my Facebook author page, my ‘otterly’ wonderful friend Anna Campbell is giving away five copies of her Regency historical e-novella, A PIRATE FOR CHRISTMAS. It’s a charming tale of mistaken identity, with some very witty bits that made me laugh out loud. Look out for a naughty donkey who almost steals the show from the humans. I’ve given Anna five quick-fire questions and I’ve posted her answers on Facebook. For your chance to win one of five PIRATE downloads, add your own answers to those quick-fire questions in the comments trail, and like/share the post on Facebook. International entries are welcome. Entries close 11:59pm Sunday, November 15, US EDT. Good luck! Click on the graphic to reach my Facebook author page and enter the prize draw! Bess Farrar might be an innocent village miss, but she knows enough about the world to doubt Lord Channing’s motives when he kisses her the very day they meet. After all, local gossip insists that before this dashing rake became an earl, he sailed the Seven Seas as a ruthless pirate. Until he unexpectedly inherits a title, staunchly honorable Scotsman Rory Beaton has devoted his adventurous life to the Royal Navy. But he sets his course for tempestuous new waters when he meets lovely, sparkling Bess Farrar. Now this daring mariner will do whatever it takes to convince the spirited lassie to launch herself into his arms and set sail into the sunset. A Christmas marked by mayhem. Wooing his vivacious lady, the new Earl of Channing finds himself embroiled with matchmaking villagers, an eccentric vicar, mistaken identities, a snowstorm, scandal, and a rascally donkey. Life at sea was never this exciting. The gallant naval captain’s first landlocked Christmas promises hijinks, danger, and passion – and a breathtaking chance to win the love of a lifetime. Read an excerpt of A PIRATE FOR CHRISTMAS here. Hold onto your bonnets! I’ve a special treat for you. Anna Campbell is my guest today. Her latest historical novella, THREE PROPOSALS AND A SCANDAL, is set during a house party on an extravagant estate. Now, having been a weekend guest at la maison de Campbell on a number of occasions, I can tell you Anna knows how to throw a good par-tay. I mean, between rounds of Champagne and charades, the fun does not stop! Anna has agreed to share the secrets of her success. Vanessa, thanks so much for having me as your guest today! It’s always such fun to be a visitor to your blog. Much more fun than most of the guests at my Regency house party are having! Poor Sidonie Merrick, Lady Hillbrook! She clearly needs some advice on how to host a house party. The gathering at her palatial country residence, Ferney, in Three Proposals and a Scandal: A Sons of Sin Novella is turning into a major disaster! House parties are a staple of Regency romance – a couple of weeks in the country offers lots of opportunity for flirtation (and other things! ), with all those hedgerows and hidden gardens and woodlands, not to mention isolated shepherds’ cottages (one must isolate one’s shepherds if they don’t bathe regularly!). Here are a few elements that are de rigueur in the successful house party – and where poor Sidonie is failing so miserably! Item 1: Delightful sunny weather so one’s guests may wander around the parterre and get lost in the maze for naughty purposes without getting their tootsies wet. Ooops! Sidonie’s house party takes place in the middle of a deluge – to the point where her husband Jonas gains the nickname Noah! Everybody’s stuck inside and emotions are running high! Item 2: A carefully chosen guest list of people who get along like a house on fire. Nuh, Sidonie doesn’t have this either, although that’s not entirely her fault. She arranged this house party so that her husband Lord Hillbrook can persuade the crusty Marquess of Baildon to sell half of Hampstead to him. The guest list was put together specifically to keep Lord Baildon onside, including inviting Lord Desborough, the man he hopes will propose to his lovely daughter Marianne during the fortnight in the country. Unfortunately, Marianne has two other suitors, neither of whom has her father’s approval, and they both pursue her down to the country. Worse, one of them turns up with a whole pack of uninvited friends. Sidonie is stuck having to cope with crowds of cranky, lovesick young men who can’t get home because they’re flooded in. Item 3: No scandals to titillate the gossips back in London. Sidonie misses out here too. With Marianne’s ardent suitors on site, passions run high. The awful weather means that the lovely house becomes a crucible where when heat is applied, an explosion is sure to follow. If you’re game, I’d love to invite you to the season’s most notorious house party which starts on Wednesday, 24th June, when Three Proposals and a Scandal makes its debut at Amazon and Smashwords. And you won’t even have to break the bank to hire a carriage to get there – only 99 cents will gain you admission to all those Regency high-jinks! How can you resist? So in between following Marianne’s courtship and its wild twists and turns, what else would you like to do at the Regency house party? The weather makes cricket and long walks a little difficult, but I’m sure you could think of plenty to get up to inside! I’ve got two downloads of Three Proposals and a Scandal: A Sons of Sin Novella (international) up for grabs today, so good luck! Whose hot kisses will melt the ice princess? All London is agog to know! As the season reaches its brilliant climax, three very different men pursue beautiful Lady Marianne Seaton. She’s the marriage mart’s greatest prize – even if cruel and unjust gossip paints her as a woman cold and glittering as any diamond. Lord Desborough is her father’s choice – rich, powerful, safe. Lord Tranter is society’s darling – handsome, dashing, charming. Then there’s the dangerous, compelling man nobody in their right mind calls eligible. Elias Thorne, son of scandal, reputed deceiver, possessing a rakish fascination no woman can resist. A lady might choose Elias as a lover, but as a husband, he’s too risky a bet. Even if Marianne’s forbidden yearning for him threatens her future and her reputation. When Marianne’s suitors pursue her to the year’s most glamorous house party, there will be proposals and passion, rivals and revelations, secrets and scandals. Let battle commence – but will the best man win? Hungry for more? Read an excerpt here, and buy now at Amazon and Smashwords. You’ll find Anna on Facebook and Twitter. Anna, thank you so much for imparting your wisdom on hosting the perfect Regency house party. Poor Sidonie indeed — she really could have done with this advice! Accidental Tourist + Contest News! I received some fantastic news today: My book, THIS IS YOUR AFTERLIFE, is a YA finalist in the First Coast Romance Writers’ National Excellence in Romance Fiction Award! A huge thank you to the judges for nominating AFTERLIFE! My fab critique partner Anna Campbell also nabbed a berth in the finals in the Historical/Regency category with WHAT A DUKE DARES. Congrats to Anna and all the finalists! Have you played tourist in your own town? What discoveries did you make? Many thanks to everyone who came by to celebrate Anna Campbell‘s 10th book release here on the blog. What a fabulous day of “rampant scoundrelcy”. My giveaway winner is…Kim MacCarron! Kim, keep an eye on your mailbox — there’ll be a Scoundrel in it very soon! Anna, thanks again for spending your book birthday at the blog. Congratulations! Talented historical romance author Anna Campbell has been a dear friend of mine for over 10 years. Yes, I knew her way back when. 🙂 Today marks another huge milestone — the release of her 10th novel, A Scoundrel by Moonlight! Congratulations, Anna! Author photo by Robyn Hills. Justice. That’s all Nell Trim wants – for her sister and for the countless other young women the Marquess of Leath has ruined with his wildly seductive ways. Now she has a bold plan to take him down… as long as she can resist the scoundrel’s temptations herself. From the moment Nell meets James Fairbrother, the air positively sizzles. Yet for all his size and power, there’s something amazingly tender in his touch. Could he really be such a depraved rogue? The only way to find out is to beat the devil at his own game… one tempting kiss at a time. A Scoundrel by Moonlight is out now! Doesn’t that sound faaabulous? Details on how you could win your very own print copy of Scoundrel in a moment, but first…here’s Anna with her Top 5 literary scoundrels. Hiya Vanessa! Thank you so much for having me as your guest today! And for doing the giveaway. I’m so excited that today marks the release of my 10th book, A SCOUNDREL BY MOONLIGHT (Sons of Sin 4, Grand Central Forever). Ah, scoundrels! Don’t we love them? Well, at least in the pages of a romance where rampant scoundrelcy is likely to end up in true love and a happily ever after. 1. Mr. Edward Rochester from JANE EYRE by Charlotte Bronte. He’s a wounded lion when we meet him but he’s kicked up his heels in his time and paid the price. And he’s definitely a scoundrel in the way he deals with Jane (we love him anyway). 2. Jasper, Lord Damerel, in VENETIA by Georgette Heyer. Damerel has devoted his life to being a scoundrel and he’s so touchingly aware that his colourful past makes him unworthy of the heroine Venetia. We, however, know better! One of the best Heyers. If you haven’t read it, rush to get it. There’s an audio version read by Richard Armitage – be still, my beating heart. 3. Sebastian Ballister, Marquess of Dain, in LORD OF SCOUNDRELS by Loretta Chase. Is he a scoundrel? The clue’s in the title! Does he find redemption when he falls in love? What do you think? This book regularly tops the polls as the best romance ever written so if you haven’t got it, why not? 4. George Gordon, Lord Byron. Unlike my other scoundrels, he really existed – and provided the model for thousands of fictional scoundrels ever since. Byron’s short and wildly eventful life reads like a scandalous novel and he’s a fascinating mixture of the bad and the good, usually sinning, occasionally sinned against. But the man who wrote, “She walks in beauty, like the night” has to have something going for him! 5. James Fairbrother, Marquess of Leath in A SCOUNDREL BY MOONLIGHT. Actually the story turns on how much of a scoundrel Leath is. The heroine Nell Trim originally thinks he’s a rotter to the core, but as she gets to know him, that conviction gets shakier and shakier. So what percentage of Leath is scoundrel and what percentage is hero? You’ll have to read my latest book to find out! So, for your chance to win a print copy of A Scoundrel by Moonlight, tell me, who’s your favorite scoundrel? Have you read any of these books? Are the heroes among your favourite scoundrels? Thanks so much for joining me on your special day! One of celluloid’s most notorious scoundrels, Rhett Butler. *The contest is open to international entrants. A winner will be chosen and announced here on April 30, US time. Are you looking for some swoon-worthy reads this Valentine’s Day? This week my fellow romance authors from Writers House literary agency are banding together for a Valentine’s Giveaway. Visit each of our websites, enter the Rafflecopter giveaways, and you could win our latest print, e-book and audio book releases as well as Amazon gift cards. Eliza Gordon, whose book Must Love Otters was an immediate buy for myself and for Historical author Anna Campbell because we do love otters. Vanessa Barneveld – that’s me! Click on the graphic below to reach my main site and enter the giveaway. As I menti oned yesterday, I’m also on the Heartbreakers Blog Tour, visiting a great bunch of YA/NA bloggers until Feb 14. Today, you’ll catch me and Denise Jaden hanging out with Jennzah.dot.net, who asked us a couple of fun questions. Head over Jennzah‘s blog now and enter our Rafflecopter giveaway at the end of her post. If you’d like to know more about the Heartbreakers tour, check out yesterday’s post. 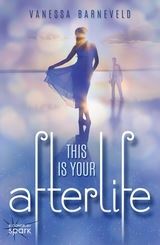 …until I learned that my debut YA book, This Is Your Afterlife, is a Favourite Paranormal Romance finalist in the 2014 Australian Romance Readers Association Awards! Thank you so much to ARRA Inc and to all those who nominated my novel. I’m excited and honoured. HUGE congratulations to the nominees. Among them are my dear friends, Anna Campbell, Annie West, Kandy Shepherd, Christina Brooke, Christina Phillips, Cathleen Ross, and many more! Now if you’re looking for some fantastic reads for summer (or winter, depending on where you are! ), check out the full list of the finalists’ books on the ARRA blog!